A Cornish micropub is going “back to the future” by offering its bespoke range of beers in returnable glass bottles. Following the success of A Greener Bude – an environmental action group looking to reduce single-use plastic – the Barrel at Bude has eliminated all single-use plastic. 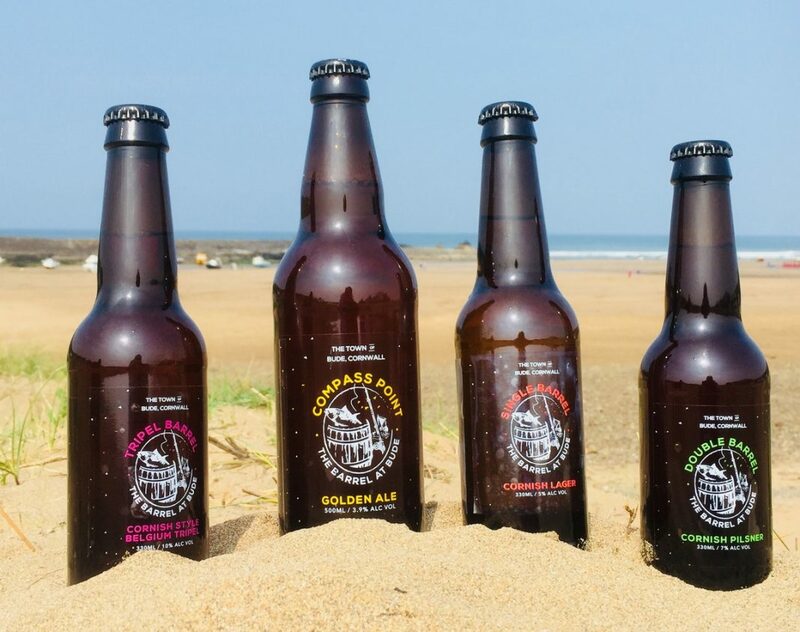 Instead, its range of Cornish-hopped beers — brewed at Simon and Justine Carruthers’ Dowr Kammel Brewery, at St Breward — come in returnable glass bottles. The brewery itself is a model of sustainability, using its own hops grown nearby, utilising green energy from solar panels, and keeping its beer cool in a ‘cave’, forgoing electric refrigeration. Barrel at Bude co-owner, Ian O’Hare, said: “We offer 10p for every returned bottle, which whilst not a fortune, has made our customers aware that we re-use the bottles and has encouraged them to return these to The Barrel. But the benefits are not only environmental. O’Hare added: “Recycling and refilling, of course, means less transportation to recycling plants, less industrial processing and reduced transportation afterwards, but it also means a financial saving for our customers and for ourselves. The Barrel range of beers are all made with Cornish hops grown on the slopes of the River Camel. Single Barrel lager, Double Barrel Pilsner and Tripel Barrel — a Belgian-style Tripel are now joined by Compass Point Gold Ale and Goldsworthy’s Strong IPA.